We've heard interesting reports of puffle behaviour this week. 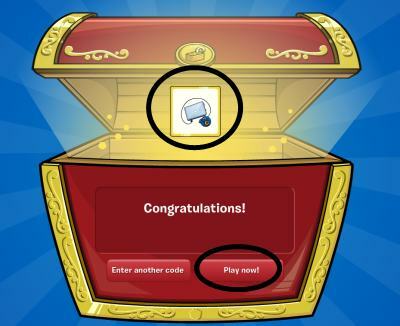 PH, the island's resident puffle expert has this to report. "From what I've observed at this party, puffles want to do more with their owners. These critters really want to express themselves!" "If we want our pets to tell us how they feel, we should try making some changes. Let's start with the Pet Shop!" "My orange puffle seems more excited than usual," said one designer. "She's so happy she's chewing everything!" "My black puffle is definately more enthusiastic," a constuction worker commented. He actually SMILED today. That's unbelieveable!" "The Pet Shop is the puffles' main turf," said PH. "Let's try doing some updates and see how the puffles respond." All construction workers and designers: head over to the Pet Shop on March 1 to help out. Awwww.... Wow the Plaza has changed alot... First the Stage and now the Pet Shop? Next thing is the Pizza Parlor! This article talks about the new clothing catalog with new wigs... A couple questions. 1 it says There's a look for everyone and I mean EVERYONE! Can this mean for non-members too? Or does this mean a make-your-own-wig sort of thing?